MCMC set a new rule in 2018, only Telco (i.e. Maxis, Digi, Celcom, U Mobile and etc.) 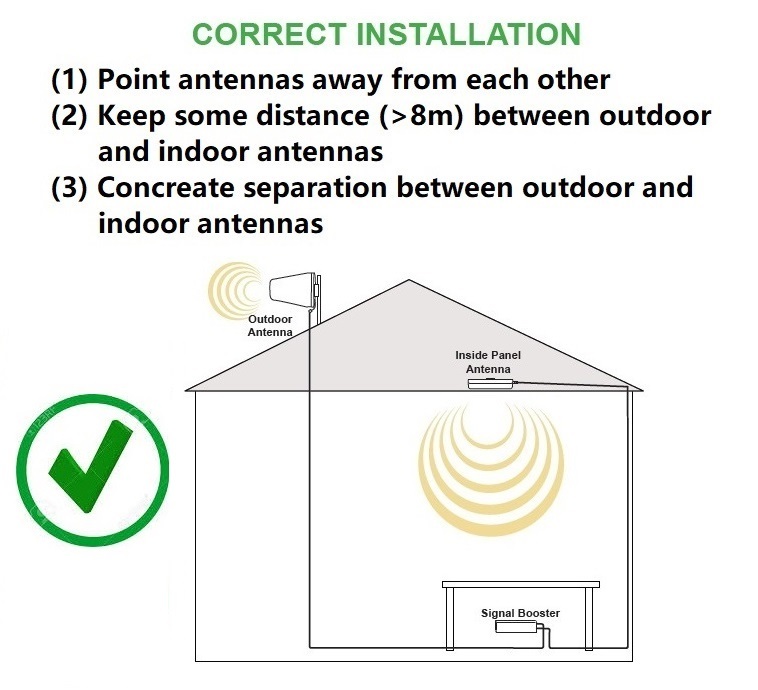 have right to install Mobile Signal Booster system for customer. 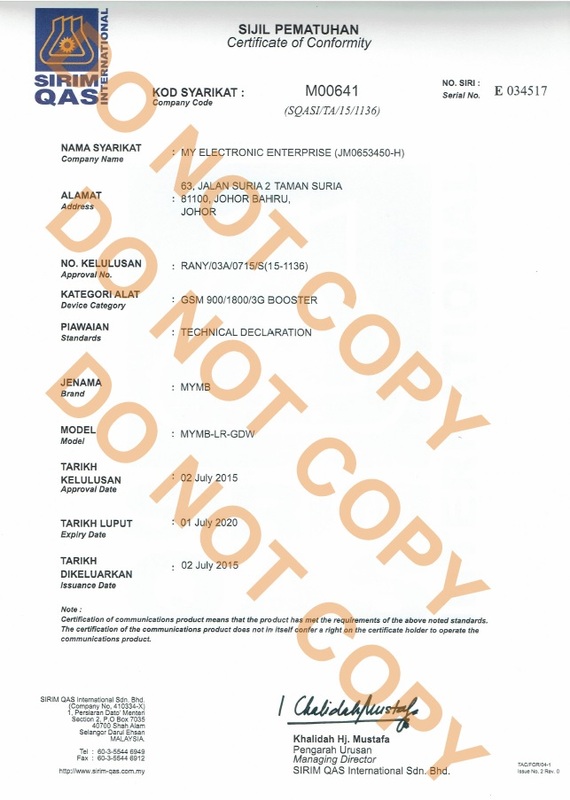 To comply with this new rule, our SIRIM / MCMC certificate for mobile signal booster was discontinued effectively from this July 2018. We have meeting with MCMC and Sirim to discuss about this new regulation, they set this new regulation because Telco complain to MCMC that many interference case happen recently. There are some interference cases happen on MyMB booster due to booster setting or installation mistake and it could be avoided most of the time by following the steps below. We used to do testing on some other brand or no brand booster that could be easily available in Malaysia market, and notice many boosters either do not meet the spec and/or having high uplink noise and high inter-modulation noise that may cause interference to Telco signal easily, so for customers that use booster other than MyMB and weBoost brand, please consult your seller if you need any support to reduce interference. No matter customer is using MyMB or any other brand booster, we hope the interference cases could be reduced significantly as soon as possible for the benefits of everyone. 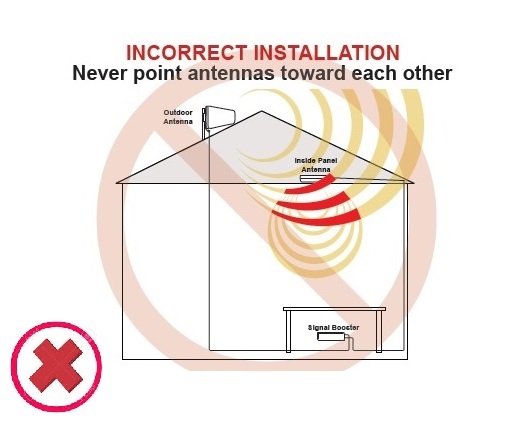 The chance of MyMB booster causing interference is very low if the setting and installation is done correctly, no matter what, we would continue to support our customer to further reduce the chance of interfering to telco signal. 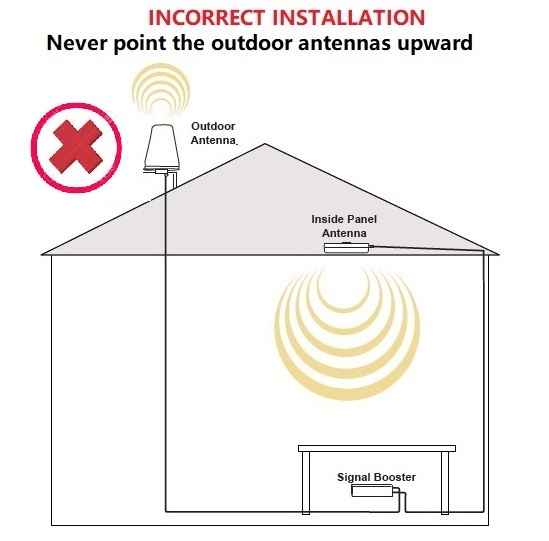 Actually in most of the cases that cause interference, it could be avoided by setting the booster according to our manual and/or observe the UL/UP/ALARM LED on the booster and feedback to us in case UL/UP/ALARM LED is ON. To minimize the chance of causing interference and cause trouble, for existing customer, please check the following steps. It is recommended to check the UL/ALARM LED 4 times per year , especially if you notice any new telco infrastructure nearby. After the band reshuffling during 2017, telco upgrade and/or built new infrastructure to utilize their new allocated band, and this new infrastructure may be too near to the mobile signal booster system at your location, this may cause interference to telco signal also. 2. For booster without DIP switches, please make sure UL LED of all channel not on (no light or Blinking is ok, constant on is NG). 3. For booster without UL / UP / Alarm LED and DIP switches, that mean the booster is low power type and the chance to cause interference is low. However, If you notice there are new repeater or telco tower constructed recently that are very near to your premises (eg less than few hundred meter away), please contact us for support.